While most people using Twitter to state “What they are doing”, more and more people are using the social network to get their news. In their fourth annual Digital Journalism Study, Oriella PR network found that almost half of journalists use Twitter as a source to help verify news information. We love Twitter as a news source and use it every day to find out what’s going on in the world. Why are we flocking to Twitter for news? The reasons are fairly obvious. The amount of people using social media makes news travel fast, so information can be reported quicker than the television stations or radio. When President Obama announced in May that Osama Bin Laden was dead, Twitter reported the news an hour before any television station did. The same happened during the protests in the Middle East, the shooting at Virginia Tech and most recently, the death of Kim Jong-Il. One of the best parts about Twitter is the fact that it is easy to use on the go. The Twitter apps for smart phones and tablets make it extremely easy to find and share information from anywhere, news included. Twitter’s trending topics (designated by the # symbol) make it easy to search for relevant information on a particular story. Instead of sifting through links on a news website or waiting for a television reporter to give an update, you can search Twitter for exactly what you are looking for and find a wealth of information on the subject, updated in real time. While you won’t get the entire story via Twitter (due to the 140 character limit) you’ll get many links to choose from for more information, making it a quick way to search for what you want. There’s no better place than twitter for up to the minute news coverage. Since most people are using Twitter through devices other than their desktop computers, you can get news as it happens. Pictures, videos and links can be shared easily, giving you the ability to see news unfold without actually being there. The reasons above are proof that Twitter is a great resource for information. Due to its portability, ease of use and quick, real time updates, it may be the best source for news out there. The best part, Twitter is still fairly young, so there will surely be many changes over the years that will make it an even better than it is already. 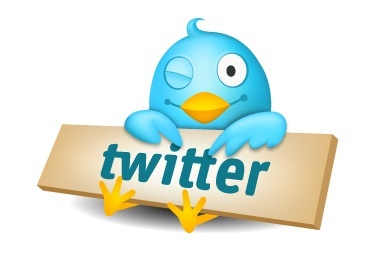 Do you use Twitter to get your news? What people or news sources do you follow?